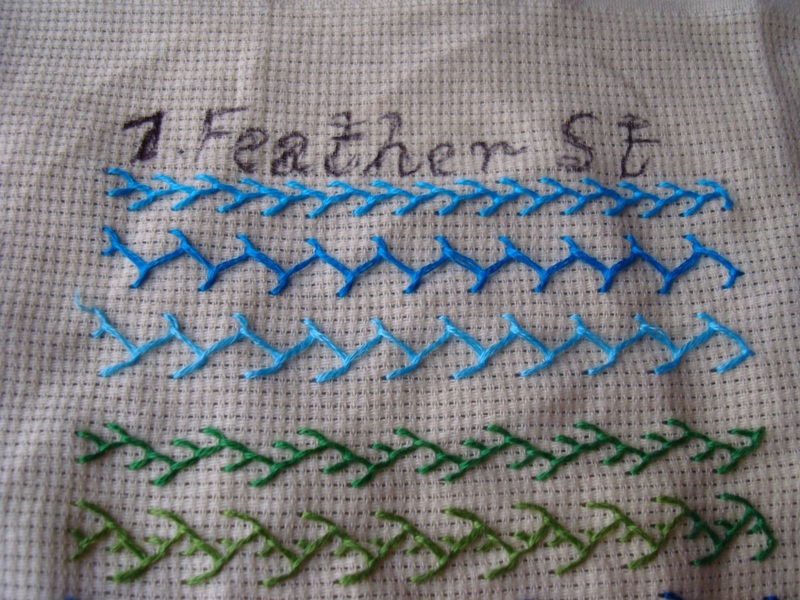 Feather stitch is the third weeks stitch of the TAST 2012 challenge by SharonB on her blog. 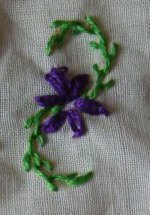 Previously I has posted my experiments of this stitch done two years ago. 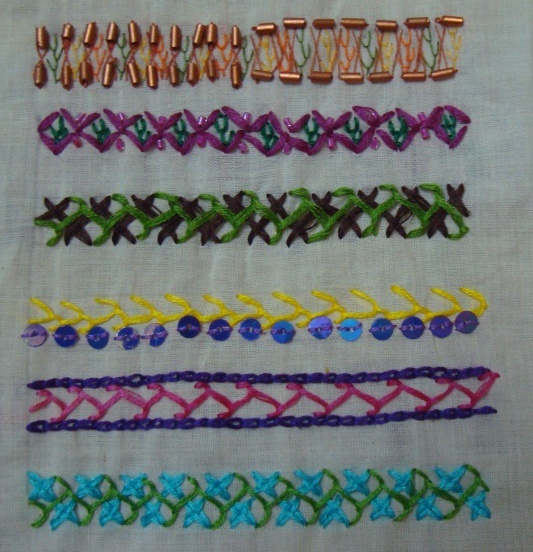 This one was worked on even weave cloth. 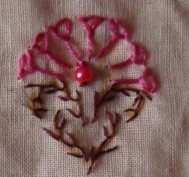 So I thought let me explore this stitch with other stitches on small motifs today. 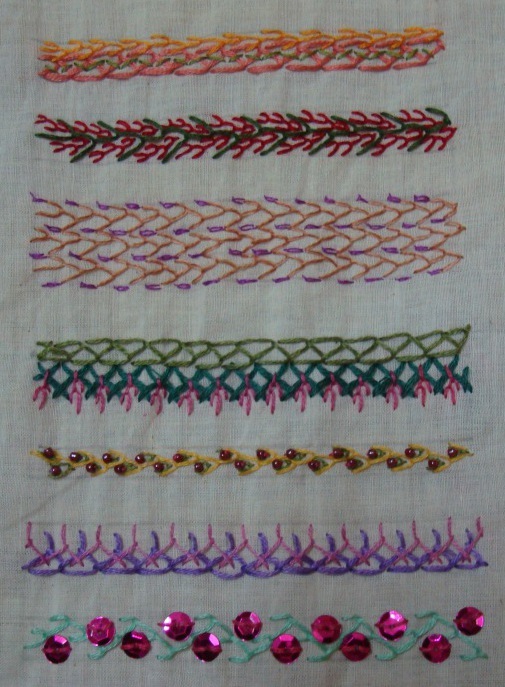 I have a fancy for block printed fabrics, with this inspiration, I drew some patterns on which I can use feather stitch with other stitches and beads. 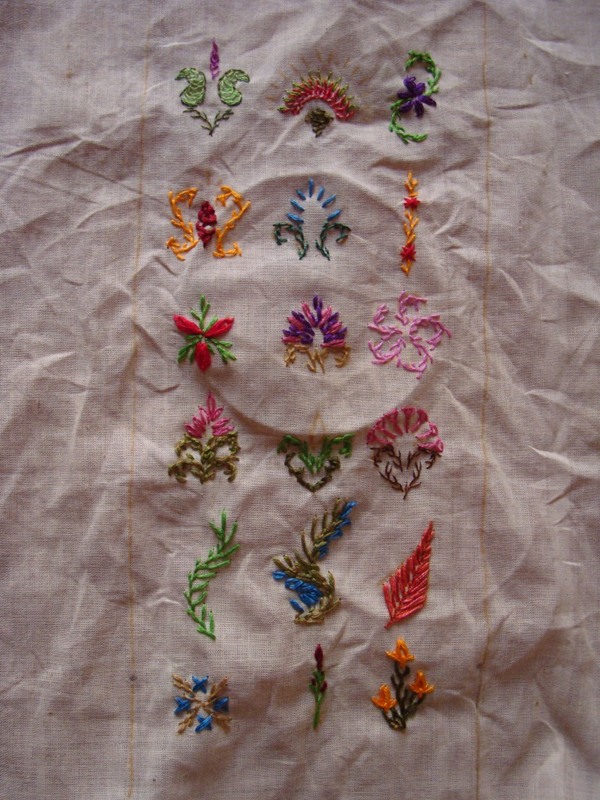 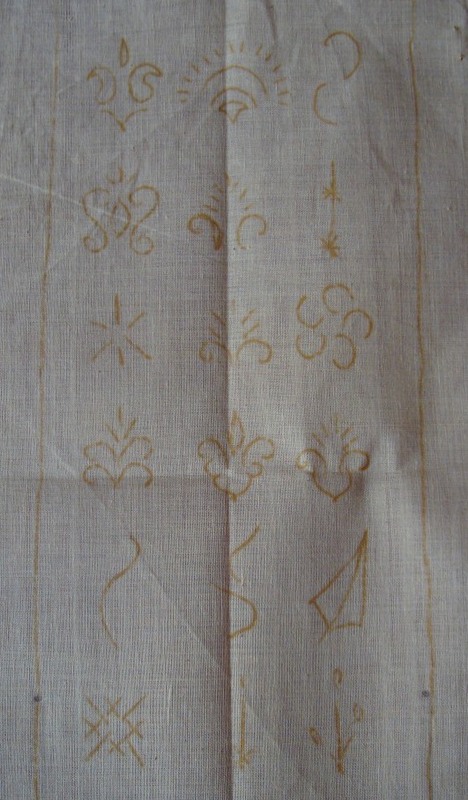 The paisleys, the stem and the cone are all done in feather stitches, the paisleys are outlined with back stitch. 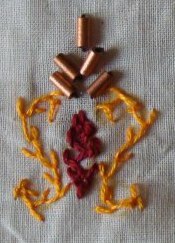 The bottom is worked closed feather st, the curve with a variation of feather st with detached chain sttches in between, finished with red beads. 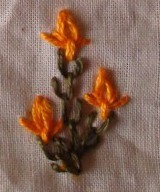 Feather stitch stem and detached chain st flower. 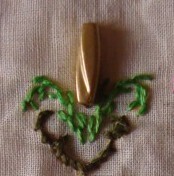 Feather st stem, closed feather st for filling, with bugle beads. 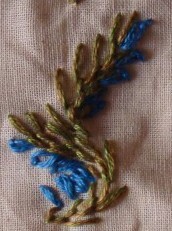 Feather stitch stem,with straight stitches and beads. 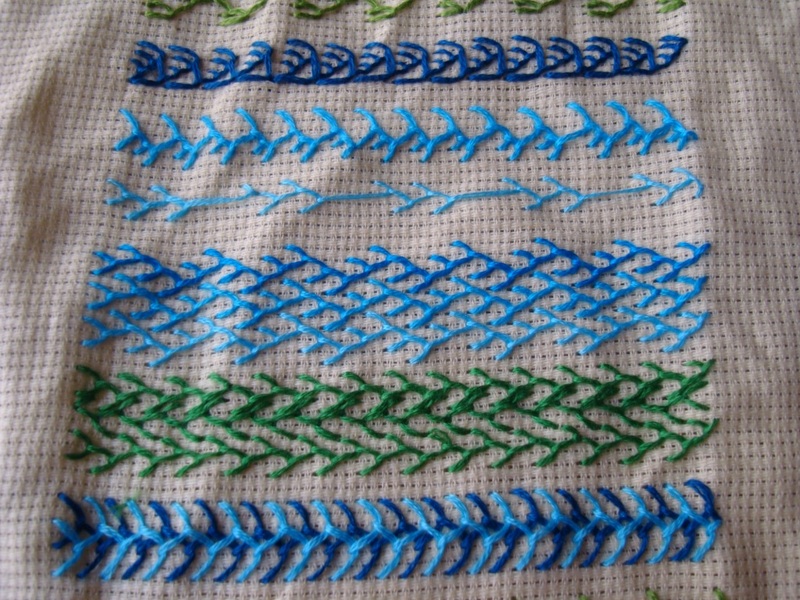 Feather stitch worked with double cross stitch. 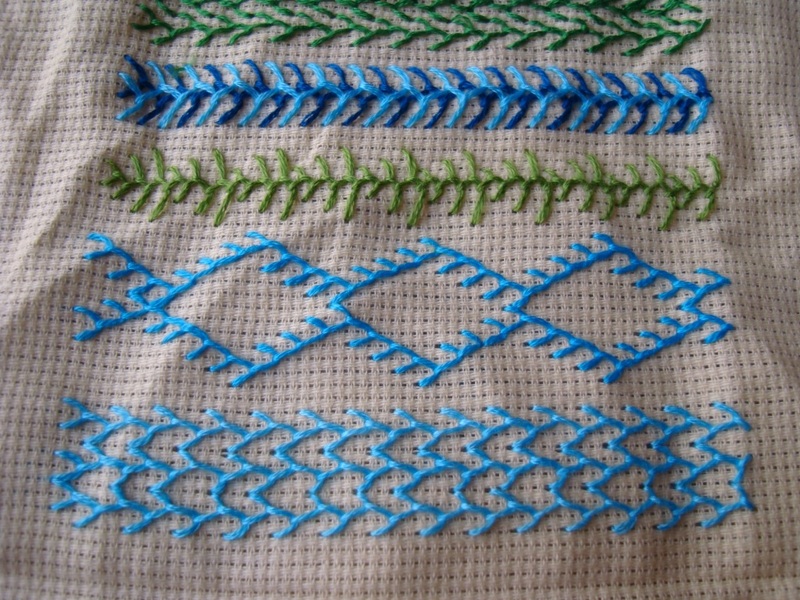 3 oyster stitches [ am I right?] 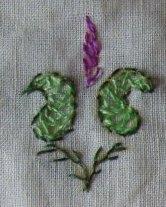 with feather stitches. 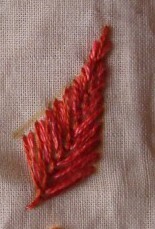 Short feather stitches intercepted with detached chain stitches with feather stitch stem. 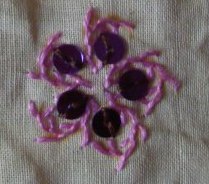 Feather stitches and sequins in a pattern. 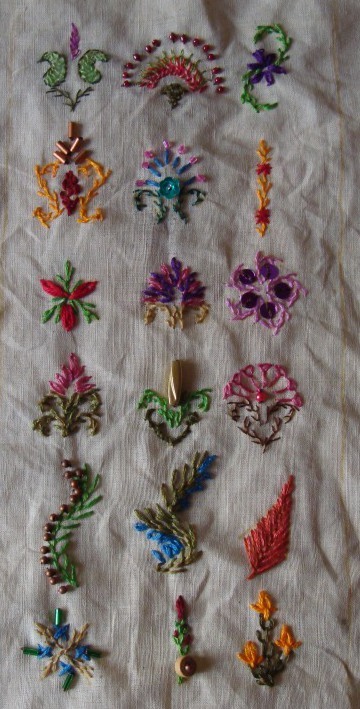 Two levels of feather stitches with detached chain flower. 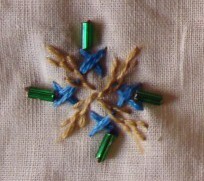 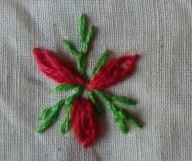 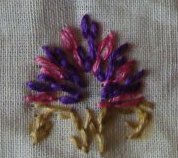 Stem stitch , feather stitch with an antique bead. 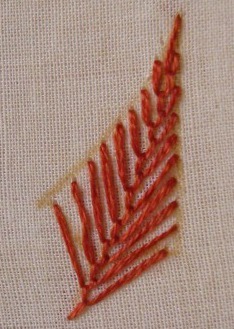 Other than the usual feather stitch stems, I tried some individual feather stitches, I was happy with this variation. 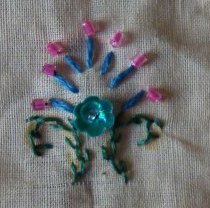 I worked one side of the feather stitch short and added beads. 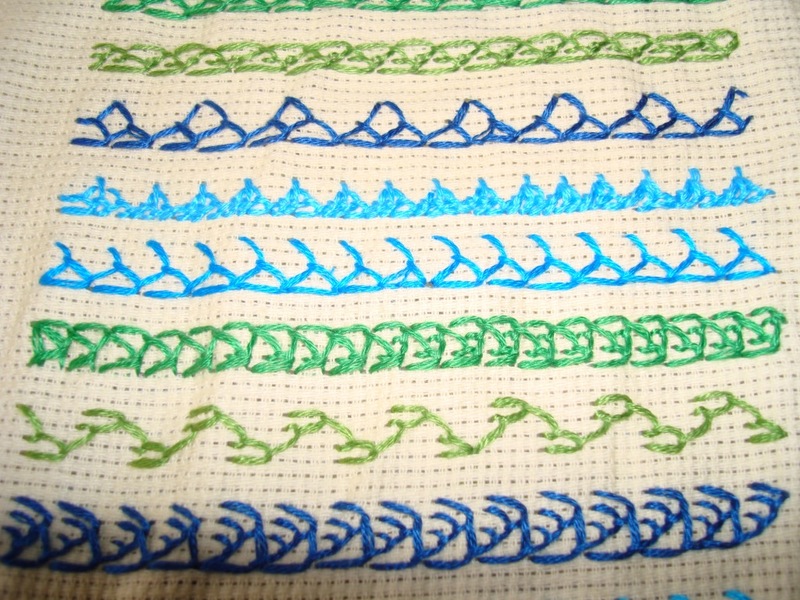 Worked the feather stitches in the same way as the previous pattern but chain stitches are added. 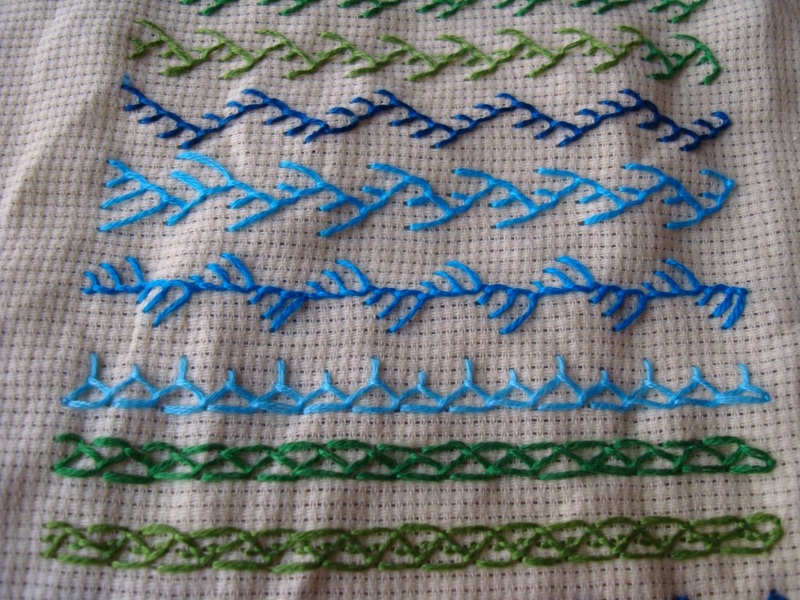 Same pattern with straight stitches in between. 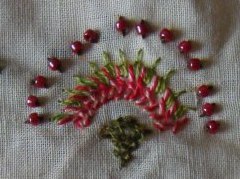 Feather stitch worked with a long tail, detached chain st, straight stitches and wooden bead with seed bead. 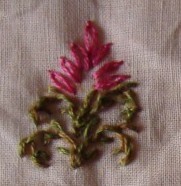 Feather stitches with tulip stitches.